Are you looking for a Professional Carpet Cleaner for your home in Greystone Country Club of Birmingham AL 35242? 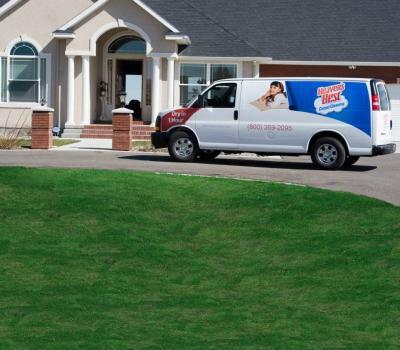 If so, look for the Heaven’s Best Carpet Cleaning Van in your community. The beautiful Greystone Golf Club community in Birmingham, Alabama is one place that needs a large amount of professional cleaning services to maintain its majestic houses and Heaven’s Best Carpet Cleaning is the premier carpet cleaner that services this area. Heaven’s Best does its part by providing impeccable cleaning and incomparable customer friendliness to the residence of Greystone. We are known for cleaning carpets in the communities of Greystone, Greystone Farms and Highland Lakes. We utilize the best technology, equipment, cleaning products and human skills to bring the highest level of quality in our cleaning services. The effort we put in to make every carpet, floor, or upholstery spotlessly clean is clearly seen in our work and our customers love us for it. We know you will want to tell all your friends about Heaven’s Best. When you get a cleaning date scheduled with Heaven’s Best of Birmingham, you are guaranteed to get much more than just soil and stain-free tidy carpets. We work on your carpets to give them a polished look and freshness that very few other carpet cleaners in Birmingham, AL can match. We make it a point, as a final step of our cleaning process, to groom every single fiber on your carpet. The result is a clean, fresh carpet that will look close to new! We don’t get tired of repeating at length this amazing feature of our carpet cleaning that it will dry in 1 hour. This distinguishes us as the smartest Greystone Golf and Country Club cleaning professionals. So here it goes – we use path breaking low-moisture technology that makes your cleaned carpets Dry in just one hour. Our procedure, by the way, also saves lots of water, unlike conventional carpet cleaners that typically soak your carpets so they take hours or days to dry. Besides cleaning carpets, we clean other home and commercial interiors like upholstery, hardwood floors, and tile/grout. If you have a new carpet or sofa in your house, we also have excellent fabric protection that can protect and prevent your brand new furniture or carpet from stains and wear. For Professional Carpet Cleaning in Greystone Country Club of Birmingham AL, call Heaven’s Best Carpet & Rug Cleaners today at (205) 618-9150 to schedule a Cleaning or a FREE ESTIMATE! Contact Heaven's Best for a FREE ESTIMATE!